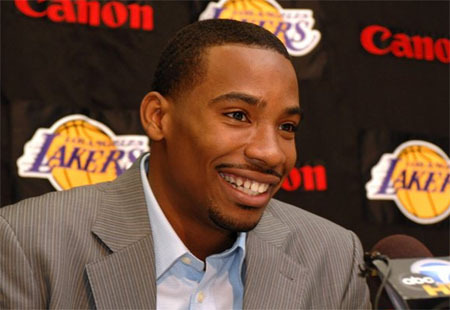 Authorities say ex-NBA player Javaris Crittenton is free on bail after he was charged with murder in an August drive-by shooting. Crittenton was released at 12:15 a.m. Wednesday. Fulton County Magistrate Judge Karen Woodson allowed Crittenton to go free on $230,000 bond after hearing testimony Tuesday from the player’s friends and coaches. She ordered former Georgia Tech coach Paul Hewitt and others who testified on his behalf to co-sign the bond. The former Washington Wizards player is accused of killing 22-year-old Julian Jones as she walked along an Atlanta street. Police have said the shots were aimed at someone walking with Jones. Defense attorney Brian Steel said Crittenton is not guilty and the charges are based on faulty eyewitness testimony.